This compilation is more than just music. It is a mission statement. As you will see on the website, there is a written mission statement for the label. While those words are an adequate description for what I intend the focus of Free Floating Music to be, words can only express so much. This is, of course, why there is music. And while this music doesn’t speak loudly, it does speak clearly. It speaks to us of the spaces where we can be free from the accelerated pull of the world. It writes poems to the cloudless, star-filled skies. It gently reminds us perhaps of that patient, sane and compassionate person we deep down wish to be. I have been a listener and fan of ambient music for over 25 years. To me, the best of the genre has always hovered closest to the edges of silence, being almost barely music at all, but almost a frame that adorns the masterpiece of sound that is silence. When I am looking for a space in which to think or dream, sleep or read–or just simply be–it is this music to which I turn. And it is this music that I have always wanted to create and to spread to the world. While I occasionally dabble in creating this music myself (I am the C.paradisi represented here), I find that I have a greater knack for discovering this music by others. And so I was led to blog about the music and eventually to broadcast a show on Stillstream ambient radio. But I wanted to be more involved in the creative process and so I finally decided to start a netlabel devoted to this gentle drifting music that I love. As you can hear, the focus is on the serene, the simple and direct. I have lived with this music for weeks–playing it in my sleep, in the shower, in my car, at family dinners and walks by the shore–and I have only just begun to explore its depths and nuances. 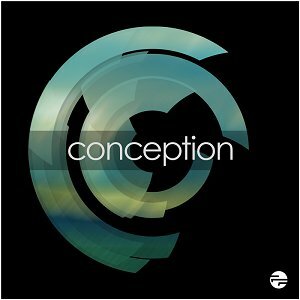 While the tracks on ‘conception’ share a similar dynamic range, each artist has infused their work with their own unique instrumental and compositional voice. Some are firmly grounded in the silence, while others glide above it, occasionally touching its surface. Some are abstract and textural, while others explore closer to orchestral territory. But each and every one builds their own room in this collaborative temple to silence. I could not have asked for a more articulate conception for the Free Floating Music label. If you are curious about what Free Floating Music will sound like in future releases, you have this mission statement that makes it abundantly clear. This is really relaxing and nice to play while working, but is the noise in track 33 intended? I am immersed...wonderful tracks !!! The description as "gentle drifting music" is exactly correct and well describes that style of music which I personally enjoy most. Thank you Thank you !!! An all-star lineup, with a cool collection of music. Well-curated. Have a listen!